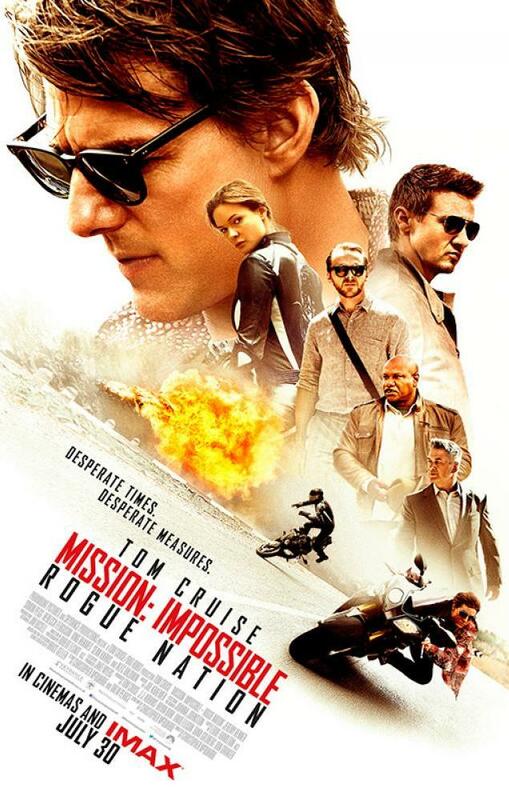 After the commercially successful Mission Impossible reboot 'Ghost Protocol', it seems a surprise that it took four years to film and produce the sequel, 'Rogue Nation'. Ethan Hunt (Tom Cruise) is determined to prove the existence of the 'Syndicate', an anti-IMF rogue nation, intending to bring chaos to the world. As CIA director Alan Hunley (Alec Baldwin) tries to disband the IMF, Hunt and his team Dunn and Brandt (Simon Pegg, Jeremy Renner) must go dark and carry operations undiscovered, only to be always one step behind the Syndicate. When captured, Hunt meets Ilsa Faust (Rebecca Ferguson), an agent working for Syndicate leader Solomon Lane (Sean Harris), who helps him escape, but does she have a hidden agenda? 'Mission Impossible Rogue Nation' draws you into the movie almost immediately with its well promoted opening stunt sequence involving Hunt hanging off the side of a plane. But the best is yet to come. Rogue Nation continues to up the game for original action sequences, time and time again. And in the most spectacular manner. The film renowned for globetrotting continues its visual journey this time to Austria, London and Morocco, where upcoming Bond film 'Spectre' is also filmed. Without doubt, the two franchises will be compared come 'Spectre''s release in October, but what gives 'Rogue Nation' an advantage is actor Cruise doing most of his own stunts and the film's lighthearted comedic moments and humour. With a run time of over two hours, the film does feel slightly overlong, but no scene is redundant. The film has a satisfyingly witty finish and has an open ending, allowing for the confirmed sixth film to develop naturally. Age defying Tom Cruise is compelling and believable as agent Ethan Hunt. 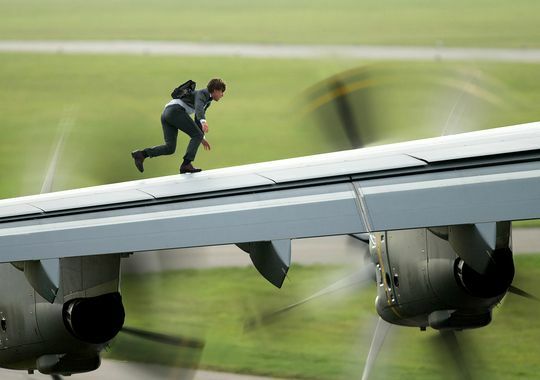 He must be praised for carrying out his own stunts, in particular hanging off a plane at 5000 feet, as well as training to hold his breath for 6 minutes for an action sequence filmed in one take. Despite a scheduling clash which meant Paula Patton could not reprise her role, her character 'Jane' was absent without mention, which felt a bit lacking in continuity. However, Rebecca Ferguson more than made up the otherwise lack of female presence with a femme-fatale charisma and sass. Whilst Simon Pegg has been given a bigger role in this movie, Jeremy Renner and Ving Rhames were obviously sidelined. Let's hope the next movie brings more balance to this team spirit. 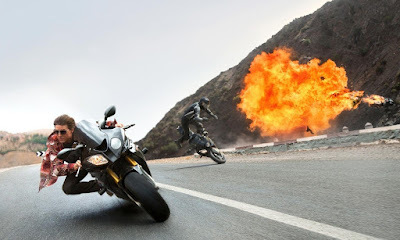 'Rogue Nation' continues to thrill and elevate the Mission Impossible franchise critically and commercially. With spectacular original stunts and nail biting sequences, the film is the must see summer blockbuster of 2015. Despite some casting and character irks, Tom Cruise and Rebecca Ferguson successfully carry the movie, so much so that they will no doubt return for the sixth outing of the franchise. Let's hope we won't have to wait another four years for it to happen!